Web oficial del Villarreal CF - Take part in the official Villarreal tournaments! Take part in the official Villarreal tournaments! Registration is now open for Villarreal CF’s four official youth football tournaments. Sign up now and enjoy the best football hand in hand with Villarreal! The club has organised four competitions for this season: the Villarreal Yellow Cup Easter, the Villarreal Final Cup, the Costa Girona Cup and the Villarreal Yellow Cup Summer, all of which guarantee an unforgettable experience for the youngsters that participate in the tournaments for their favourite sport. The first-team footballers in charge of presenting this season's tournaments were Santi Cazorla, Pablo Fornals, Gerard Moreno, Miguel Layún and Nico Sansone. 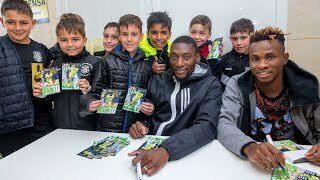 The Villarreal Yellow Cup Easter is an international youth football tournament that gives teams the chance to celebrate Easter week in a special way. Players will not only have the chance to play football at Villarreal’s top of the range facilities: the Villarreal CF Training Ground (Ciudad Deportiva) and the Pamesa Cerámica Training Ground (Ciudad Deportiva Pamesa Cerámica), but also get to spend their holidays in the beautiful, tourist town of Benicàssim. For four days, this youth football tournament brings together teams from all over Spain and other countries too, to share in an experience they will remember for the rest of their lives. Throughout the tournament there will be a wide range of complementary activities in place to make the experience even more fun; such as a tour of the Estadio de la Cerámica, tourism in the region, a welcome cocktail, a leaders' dinner, attractions in the campuses and the 'Village Amarilla'. What's more, as a star attraction, those taking part can watch the LaLiga tie between Villarreal and Leganés live at the Estadio de la Cerámica. 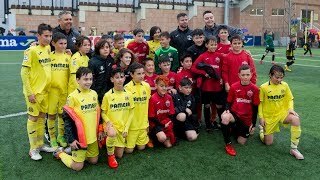 The Villarreal Final Cup is a youth football tournament that gives all those players who enjoy playing football every weekend the chance to finish the season in style. A weekend full of fun with your teammates in the popular, coastal town of Benicássim, live each match like it’s a final at the Villarreal CF Training Ground (Ciudad Deportiva) or the Pamesa Cerámica Training Ground (Ciudad Deportiva Pamesa Cerámica), which for the last few years has been the official headquarters for the LaLiga Promises tournament, and take away memories for a lifetime. During this weekend, numerous complementary activities will be planned for even more fun, such as a visiting the Estadio de la Cerámica stadium and the Aquarama water park, as well as extra attractions at the playing facilities. The Villarreal Yellow Cup Summer is a youth football tournament that gives you the chance to celebrate a weekend you've dreamed of, in a unique and special way alongside your teammates in the magnificent tourist area of Benicàssim. This is a place that boasts the greatest number of blue flags in the whole Mediterranean awarded by the European Union. At the same time, the tournament is held at some of the best sports facilities on a national level in the neighbouring town of Vila-real, these are the Villarreal CF Training Ground (Ciudad Deportiva) and the Pamesa Cerámica Training Ground (Ciudad Deportiva Pamesa Cerámica), the latter the headquarters of the LaLiga Promises tournament for the last few years. This youth football tournament attracts a brilliant lineup of teams from all over Spain and other countries, that come together for 4 days to share an experience they won’t forget for the rest of their lives. During this great football tournament, numerous complementary activities will be planned to help you have even more fun, such as a tour of the Estadio de la Cerámica stadium, getting to know the Mediterranean coast, a welcome cocktail, a leaders' dinner, a tournament party, further attractions at the playing facility, a free ticket to the Aquarama water park and the ‘Village Amarilla’. The Costa Girona Cup is a spectacular international youth football tournament of the highest level, where boys and girls come from all over the world play plenty of matches with their teams or countries. 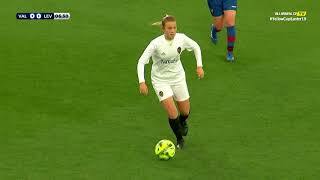 It is considered to be one of the leading football tournaments nationwide, combining football and fun with the wide variety of activities that the Costa Brava has to offer. This tournament is played over an intense five days of competition in one of the most idyllic corners of the Iberian Peninsula, with a mix of the majestic Pyrenees and the crystal-clear waters of the Mediterranean. It is played at one of the best facilities in Spanish football with 13 impeccable natural grass pitches. What’s more, there are also a variety of great activities planned for the participants, family members, managers and escorts alike, for all to enjoy their deserved holidays. Villarreal CF is offering the opportunity to combine two of its tournaments, the Villarreal Yellow Cup Summer and the Costa Girona Cup. This option allows the participants the chance for a ten-day stay (nine nights), taking part in the best sport around in first-class sporting facilities such as the Yellows' Training Ground and the best sporting facilities on the Costa Brava. What's more, participants can complete this fun holidays with activities such as visiting the Estadio de la Cerámica or the Aquarama water park, as well as enjoying a number of surprises.